Big changes at TOS in January!! Categories: Totally TOS | Permalink. The Old Schoolhouse Magazine is turning 10 years old, and boy do they know how to celebrate!! 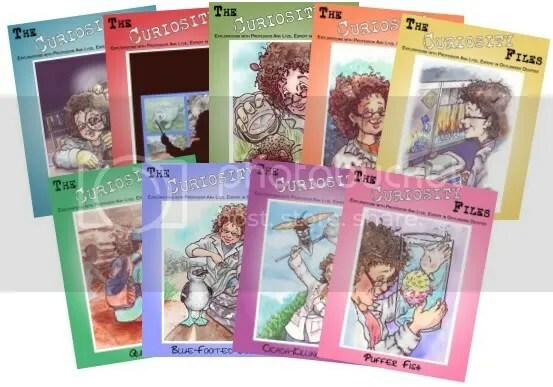 The Old Schoolhouse has produced a really great new series of unit studies called the Curiosity Files. 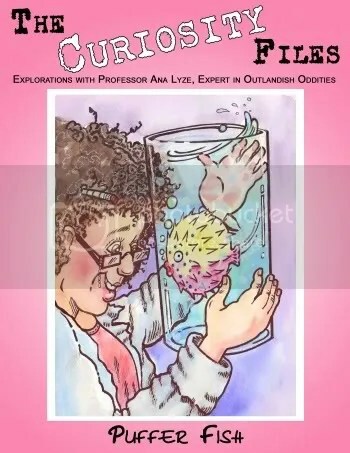 When I first heard of Professor Ana Lyze, Expert in Outlandish Oddities, I thought the idea of using weird, wacky and sometimes gross subjects as the basis for learning was brilliant. One of my absolute favorite things about homeschooling is the opportunity to explore and dive deeper into the big wide world of God’s creation. After all, everything was all created by Him, for US to explore!! Why limit our children’s learning to a boring textbook of dry facts? What do most children really want to learn about? Well, I know I can’t speak for everyone, but most of the kids I know love things that are bizarre, unique, don’t follow the “rules”, and considered gross or unusual in some way. It’s the “wow” factor that really sparks the interest and imagination, and brings real learning to life!! The Curiosity Files drops that opportunity right into your hands. This series of unit studies is perfect for ages 8-13, but I wouldn’t hesitate to say there’s something fun for just about every age! *Or you can spend $46.00 for an Ebook including the nine unit studies that can be downloaded and used right away! *The unit studies are also sold separately as downloads. After reading through our options, Taylor was very excited to learn more about Puffer Fish. She has always been interested in Marine Biology, so I figured this was the one she would choose. I had seen the bright, stylish covers and a few sample pages of the ebooks, so I was anticipating a child-friendly format of information and fun activities. What I saw as I flipped through the pages was a whole world of discovery and adventure! From fascinating facts and wonderful pictures to puzzles, games, experiments, projects, arts and crafts, maps, it’s all in there! Every page is formatted with delightful graphics and pictures, making this a playground of exploration! When Taylor started looking through the ebook, she immediately asked if we could please print out the whole thing and put it in a binder. After familiarizing ourselves with the many different areas we would be covering, we read through Everything You Never Wanted to Know About the Puffer Fish. The information and topics included are interesting and engaging, and plentiful photographs included are beautiful! My four year old son even sat listening intently to me reading out loud, and was excited by the pictures. Taylor then worked on the section What Have You Learned, answering the questions and expanding on her previous knowledge and research through discussion. Levi enjoyed talking about what we had read as well. Next we enjoyed reading through a section of scripture and creation-based discussion and questions. We all engaged in a lively conversation about fear, our reaction to fear, and helping others when they are afraid. In the next section we found a series of number and coloring activities. Taylor really enjoyed working most of them, and helping Levi to work through some of the easier ones. She worked through some multiplication activities, time telling activities, and we worked through a cool little activity teaching about currency of different nations, and exchange rates. Included at the end of this section is a collection of lots of math ideas and weblinks to further your studies as desired. I printed off two word searches and we raced to complete them. Then we worked through a crossword puzzle together. We found a list of game ideas next, followed by several pages of copywork in print and cursive formats. Next came Taylor’s favorite part, in the lab, where she made paper-mache models of a puffer fish and an expanded pufferfish. Here is Taylor painting her deflated puffer fish. 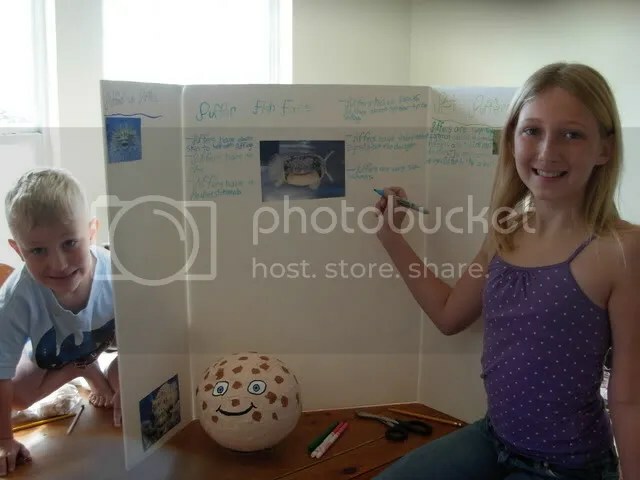 She decided to assemble a science fair display board as well to use as a talk for this year’s 4-H roundup, and use her puffer fish models as displays. She has worked hard collecting information and assembling her board, which is still a work in progress. She is planning to put the spines on her puffer fish today out of toothpicks, and add the fins. Isn’t it cute? History lessons, geography lessons with mapping activity (map included! ), craft activities, and coloring pages, which Levi has requested to be copied so that he can color several times over- he’s actually coloring one as I’m typing this :), are included. Nearing the end of the book is a section with special needs teaching ideas complete with lots of weblinks, lapbook activities with pages to cut and assemble, song lyrics to sing together, and a ton of reading and additional learning resources and links. The final pages which complete this 85 page ebook are answer keys. We really enjoyed and highly recommend the Curiosity Files Puffer Fish unit study. We liked it so much I purchased 4 more of the individual eBooks and downloaded them from the TOS store. We can’t wait to get started learning about MRSA, dung beetles, cicada killing wasps, and red tides! After that we will only have left the blue footed booby, blue diamonds, quicksand, and zombie fire ants to learn about until more curiosity files are created. You can read what my Crew Mates had to say about Puffer Fish and many of these other units over at the Crew Blog! Remember, God created this weird and wacky stuff just for you to explore! What are you waiting for? I received this product as a member of the TOS Homeschool Crew for review purposes. 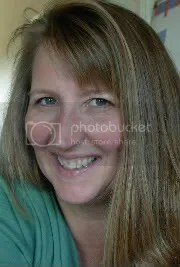 No other compensation was received and opinions are our own, one of such is that Heidi Strawser, project manager of the Curiosity Files, ROCKS!! Categories: TOS Crew Reviews 10 11, Totally TOS | Permalink. Y'all know how much I love the TOS Planner. I've been blown away for two years now with just how much information and how very useful it is. I am of the opinion that everyone needs one. Then I got word that one of my TOS friends (which just happens to be our trusty Captain Heidi) was creating a set of STUDENT PLANNERS. I immediately wondered how they could possibly be better than the original planner! I learned that they were suppose to include more pages written for use by the students themselves, to include information and forms designed for elementary, secondary, middle school,and high school ages. Having a 13 year old and wearing the weight of trying to figure out this whole high school credit/transcript thing on my shoulders has really been a huge challenge for me this year. As we move into this season of our homeschooling with her, I just really want to make sure I'm keeping the right kind of records and documentation from the start to help make her high school journey a success. While I've begun collecting and processing information, I've not really nailed down a specific program or mapped out a definite course yet. So when the TOS Student Planners came available from the TOS store, I initially thought I'd purchase the High School one to aid me with my planning the course of the next four years. After reading through the descriptions, however, I began to feel that providing Morgan a planner to help with where she is currently working would be more beneficial, since the planner is designed to aid the student, and the Middle School one includes High School Transcript and High School Plan pages in it. Besides the Middle School Planner (gr. 7-8), I purchased the Secondary Planner (gr. 4-6) which has the same useful organizational and informational forms as the other planners, but more directed to my middle daughter's age level. I am thrilled with the planners I have purchase, and I plan to purchase these planners yearly for my children. I am already planning to purchase the Primary Planner (gr. K-3) next year for Levi. I just love that they are downloaded on the computer for use by me or by them. We can type what we wish into calendar pages, planning forms, chore organizers, or print out any of the "Must-know" pages to keep and use in our studies. I am able to type a week's worth of schedules including current study assignments and print them out to follow. When I was offered the opportunity to review a student planner as a member of the TOS Crew, I was just so excited to have the opportunity to take a look at the High School Planner (gr. 9-12). It contains the same transcript and high school plan pages, but SO MUCH MORE!!! It has a sample course of study for the college bound student, high school hours tracking log, GPA calculating form, high school GPA recording log, college planning and prep form, community service record, and just so many forms that will prove to be useful as we begin our high school journey next year. There are even things I might not have thought we needed to keep record of! *Homeschool Forms-everything your student should need and more! *Organizational Forms- everything you need and didn't know you needed to help your days and weeks run smoothly! YOU CAN DO THIS! YOU CAN HOMESCHOOL THESE KIDS ALL THE WAY THROUGH HIGH SCHOOL! Categories: Totally TOS | Tags: high school, organizers, planners, student planners | Permalink. or two in their day. An extra hour or two? or the internet for just the right outline to organize your life. You won’t be fretting about what in the world to make for dinner. So what might you do with an extra hour or two? who have graciously shared their expertise to encourage and inspire your adventure. *No, just gettin’ started. There’s so much more packed into this little jewel such as must-know lists, reference pages of all kinds, facts to know, study pages, cooking tips, book lists, nature journeling pages, the kitchen sink. Oh, and yeah, there’s good old fashioned calendar pages too. So next you’re gonna tell me if I get to the end of 2011 feeling lost and way off track, I shoulda listened to you? Categories: Totally TOS | Tags: 2010 planner, Homeschool, planner | Permalink. 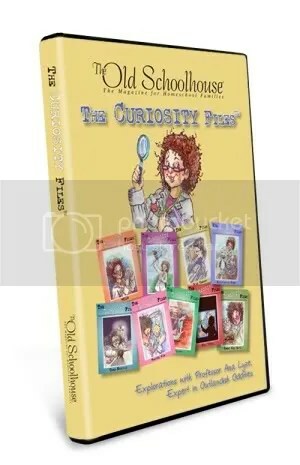 The Old Schoolhouse Magazine GREAT DEAL! I have been enjoying The Old Schoolhouse magazine since I started homeschooling in 2004. I have actually come to depend on its support since I’m pretty much alone here in my venture. I have ended up living in an area with no fellow homeschoolers for support, and my husband would really rather send the kids to public school. But I have spent thousands of countless hours researching, praying and working out schedules because I know that I will be held accountable for the decisions I made in leading and guiding the little people God has allowed me to raise. They are worth it. So onward I march, but not alone, really. Because I have The Old Schoolhouse magazine as well as another lifeline I found through TOS : The Homeschool Crew. I truly believe there is something in this magazine for everyone, and if you are homeschooling without it, well, you are just plain missing out. That’s one reason I was so amazed when this deal came along. If I knew anyone homeschooling out there without it, I would most certainly buy them a gift subscription for a year. So if you have been led here to check out my words, I just can’t tell you enough how happy and thankful you’ll be to have this in your hands this year for support and encouragment on your journey. issue. The one-year plus current issue starts with the fall issue. through midnight on September 15. Once the 5000 are gone, they’re gone! In exchange for posting this advertisement I will be receiving mp3 recordings of TOS Expo to Go this Fall. No other compensation was received. Almost time for another Schoolhouse Expo! For those who enjoyed the first Schoolhouse Expo, I have no doubt you’ve already heard about and bought your ticket for the October Expo. For those who are knew to this, you’re in luck! Save $5 per ticket! Register between August 16 and midnight August 22, and you’ll pay only $19.99. 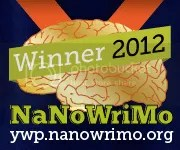 Plus you’ll receive over $200 in free E-Books. Two special preconference shows on August 24 and September 21 with Dr. Categories: Totally TOS | Tags: Back to School, Expo, Homeschool, The Old Schoolhouse | Permalink.